Fantastic Stories - Edwin Hanks' Author Blog: Uprooted Has Been Published! Edwin Hanks blog, author of fantasy, science fiction and historical fiction books and stories, including Uprooted, the first novel of an epic fantasy series. In case you hadn’t noticed my giddy Facebook postings, I wanted to let everybody know that I’ve finally published my very first novel! It’s called Uprooted: Brothers of Orinthia, Book 1. It’s available on Amazon in both Kindle format, as well as in print-on-demand paperback format for those who prefer to be able to hold a book in their hands (that’s me, though I’m getting used to Kindle). So far, I have confirmed readers in the US, the UK, Germany, India and Australia! This may be old hat for experienced authors, but for a first-time novelist it’s quite a thrill to watch. Two brothers stumble upon the macabre scene of an old murder. Who was this man? Why was he killed? They find answers to the mystery soon enough, and it rips them away from their comfortable rural home. They must run for their lives, pursued by malicious forces, thrown into a world of competing magical and conventional powers, uprooted from everything they’ve known and held familiar. This is author Edwin Hanks’ first full novel, and the first of two series – the Brothers Subseries, fantasy thrillers about two young boys coming of age, and the Orinthia Series which draws them and dozens of others into a larger storyline of magic, romance, faith, politics and intrigue. It’s a series about regular people in irregular circumstances. Ordinary heroes who aren't of noble blood. Highborn heroes who are real people underneath. Opponents vying against one another for victory, each believing their cause is just. This epic series is faithful to the traditions of high fantasy while upending many of the clichés of the genre. • It’s part of a genre called “epic fantasy” or sometimes “high fantasy” – ambitious stuff like The Lord of the Rings, or The Wheel of Time. • It’s a “coming of age” story primarily about two brothers, but that doesn’t mean it’s merely a “young adult” novel – it’s meant for general adult fantasy readers. • Most of my characters have roles to play in events that are much larger than they are – these are regular people caught in irregular situations. There are no “golden boys” here. These boys are a lot more like me and you at their age. Maybe a little (a lot?) more mature, but that was normal in older ages. Given a challenge, they will still rise to it, using the talents at their disposal. But they’re still just regular guys. And some regular girls to go along with them! And if you don't live in the USA, your country-specific Amazon store should have the book too (the Kindle, at least). Just take the URL given above and replace the ".com" with your "dot-whatever" (.co.uk, etc.) and you'll find it. Or you could just type "Uprooted Hanks" into the search. 1) if you wouldn’t mind spending a couple (or a few, if you want the paperback) dollars to help me out, every sale helps build me toward those coveted “Best Seller” lists on Amazon. Just being there increases visibility and helps sales – your purchase of either the Kindle version or the paperback edition will really help me out. 2) Another thing that would really help me is positive reviews! If you can take a few moments to say a few words, or even to just give me a star rating, that’s going to go miles and miles toward helping me find new readers. Honest reviews are great! Honest positive reviews are ten-times better! Once more – thank you for all you’ve done to support and encourage me! p.s. 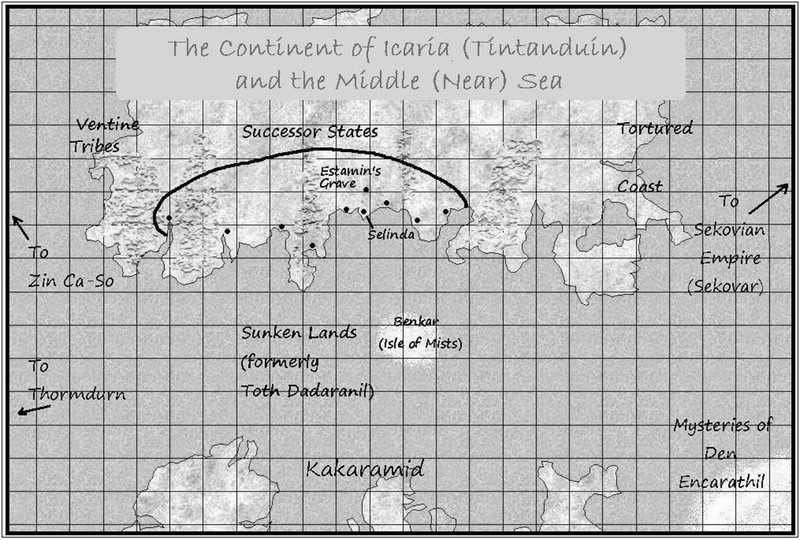 One more thing: Here’s a sneak peek at the regional map I’m using for the world of Orinthia. I’m planning a full blog on this soon, but this may serve as a teaser. Civil Air Patrol Stories Coming!